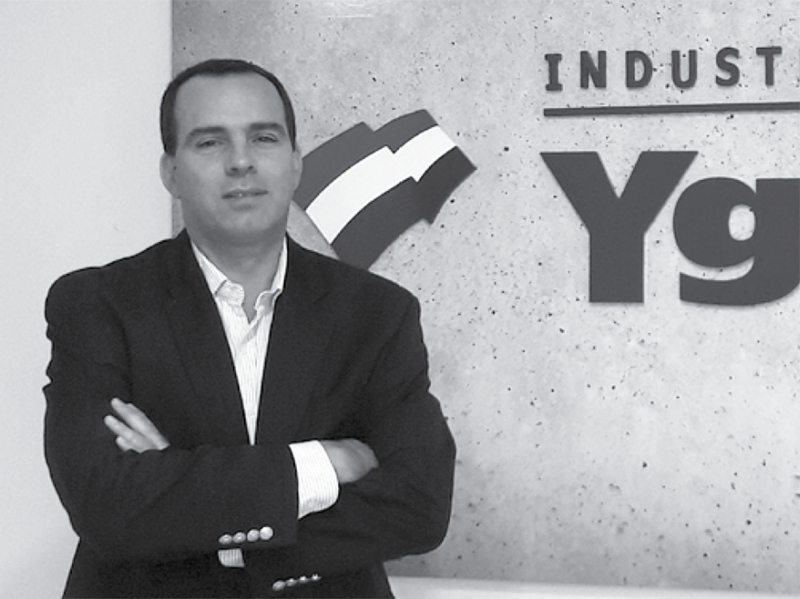 A joint venture established in 2000 by Brazil’s Intercement and Paraguay’s Concret-Mix, Yguazú Cementos invested USD 200 million in a cement factory and now leads the market. Leading Edge (LE): How do you see Paraguay’s advance to becoming an industrialised country? Matias Cardarelli (MC): The country has taken clear steps towards greater industrialisation and I think that was the right path to follow. There are aspects to Paraguay that are extremely attractive to the industrial sector, such as access to different sources of energy, macroeconomic stability, a geographical location that is ideal for accessing the markets of the region and of other regions through maritime and inland waterways, a young active population, and the existence of actual business opportunities and new markets to explore. LE: What is your view on the future of construction? MC: The growth of the construction sector in Paraguay in recent years was a key driver for the economy. This process will continue with major infrastructure works that the country needs, as well as public and private investment. LE: How has Yguazú Cementos grown and evolved? MC: Yguazú Cementos began its commercial activity in 2000 as an import company. In 2010, we began construction of our industrial cement manufacturing plant in Villa Hayes, which came into full operation in 2014. The Yguazú Cementos industrial complex has a production capacity of more than 600,000 tonnes per year and required an investment of around USD 200 million for its operation, which is still one of the largest private investments in the country’s history. In order to meet the needs of our various types of customers, we have a 24-hour dispatch system for bagged and bulk cement. Our advanced technology, capacity and the training of our employees allow us to produce world-class Paraguayan cement, offering our customers products of the highest quality, strength, yield and reliability in the market. As a result, we now supply 45% of the cement market in Paraguay, with production based on domestic raw materials and labour, and we have become a pillar of the national construction industry and an important player in the growth of the Paraguayan economy. Our premium product CPF40 is currently the product of choice of the country’s major developers and construction companies for the most important infrastructure works. LE: What social and environmental initiatives does Yguazú Cementos carry out? MC: We have a group of volunteers who, supported by the company, develop social assistance initiatives in schools, hospitals and public spaces. We are currently implementing a project related to the consumption of used tyres in our cement kilns, in which we will actively collaborate in the proper disposal of that waste material, and we are also involved in the fight to eradicate breeding places of the mosquito responsible for the transmission of the dengue, Zika and chikungunya viruses. We hope that with the implementation of an alternative fuel supply and consumption system, 35% of the thermal energy we consume by the end of 2017 will be renewable. LE: How are local and foreign investors coming together? MC: We are a mixed-capital company that combines the expertise of InterCement (a multinational with operations in South America, Europe and Africa) with our local firm Concret-Mix. LE: What initiatives are necessary to promote the growth of infrastructure? MC: Paraguay should continue to work to improve its connection to the world through new routes and the already announced modernisation of the Silvio Pettirossi International Airport. The state must continue to provide clear and attractive guidelines for investment.